As well as being an amazing spot to take a break and relax, The Tranquil Otter is also a designated Site of Special Scientific Interest (SSSI) and the RSPB regularly audit the wildlife activity in and around the Lough. 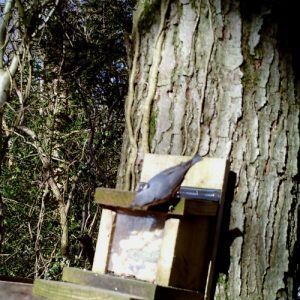 Trevor Merrington, our local RSPB man keeps a close eye on the bird and wildfowl comings and goings and keeps a log of what he observes, here is his most wildlife report. 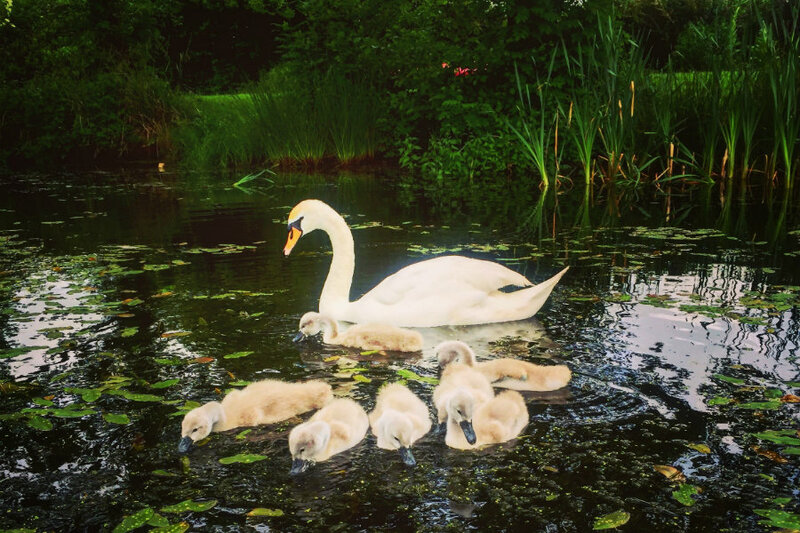 June was an exciting month with families of Swans and Cygnets on the Lough. We’ve also seen Grebe, Nuthatch, Woodpeckers and more. Here’re some highlights from June’s wildlife report. Two pairs of Swans have been seen looking after the new additions to their families. One pair has three Cygnets and the other a much larger family of 7 Cygnets. We later saw that adult swans were out together without their cygnets which normally suggests that they are confident about the Cygnet independence. We’ve spotted 4 pairs of Grebe. That’s slightly fewer than we had this time last year. We think this may because we’ve cut back a lot of weed growth recently. So we may see more Grebe appearing as it regrows. We’ve had reports of Reed Bunting in the area. So far we’ve only spotted a male, but we’re buy clomid research hopeful of seeing a female soon. There are approximately 4 (possibly more) Woodpecker nests with baby Woodpeckers calling loudly for food while their busy parents fuss around them. 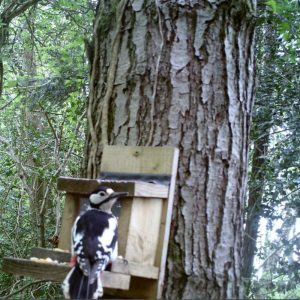 We’ve seen some Nuthatch inspecting holes in the woodland area so we suspect they’re house-hunting for an imminent new brood. We’ve heard some Spotted Flycatchers singing around the woodland area. We’ve not seen them yet, but we know they’re out there. Hopefully, we’ll catch sight of them soon. We also work with the local Red Squirrel Preservation Group. A squirrel feeder and camera was recently installed in the woods. 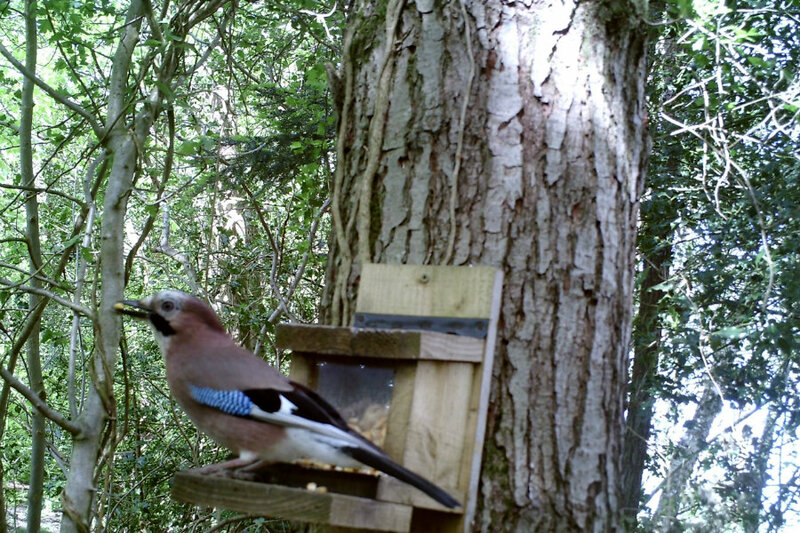 Here are some of the locals caught on camera; Nuthatch, Jay and Great Spotted Woodpecker. 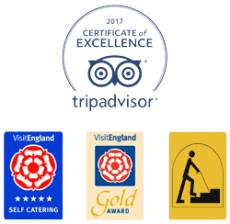 While we have abundant wildlife activity right here on the Lough, many of our guests like to enjoy the extraordinary variety of wildlife along the Solway Coast. The area is well known for its stunning variety of bird and wildfowl life. The sand dunes, saltmarsh, shingle beds and peat mosses make it a favourite area for oystercatchers, curlews, plovers, lapwings, dunlins, godwits, redshanks and turnstones. This is a glorious time of year for wildlife, so make sure you don’t miss it.